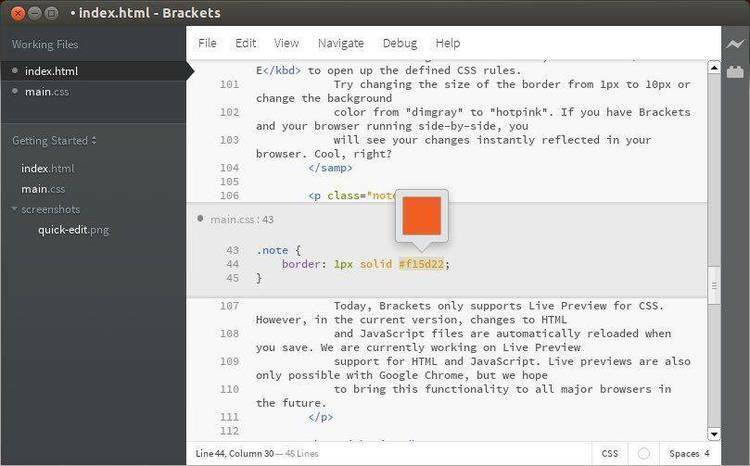 Text editor, small and fast, supports multiple windows. help; and the ability to compile a program without exiting the editor. UPDAT411.DOCContains a list of the latest enhancements. ORDERFRM.DOC Order form for ordering WED. The files, WED.EXE, WED.CFG, and WED.HLP must be online when running WED.
All of the other files are document files, and can be stored offline. main menu, and then set the "Monitor type" flag to "color". public domain software, nor are they free software. WED is copyright (C) 1987-1989 by Washington Computer Co.
one computer at the same time. the file containing this license information. o One copy of the printed and bound WED manual. o An upgrade to the next version of WED for free. o Technical support via electronic mail or telephone. or other applications are running. only the disk and notices of future upgrades. Please use the enclosed order form when placing an order. more information or technical support, call 1-703-799-1320. Send to: Washington Computer Co. WED is copyright (c), 1987-1989 by Washington Computer Co. WED is a registered trademark of Washington Computer Co.
dBASE III a is a registered trademark of Ashton-Tate. with the furnishing, performance, or use of this product. DOS prompt without leaving the editor. with decimal, hexidecimal, and other display formats. them for later edit sessions. wide variety of listing formats. the TEDIT and WP keywords in your CONFIG.DB file. and accessed via the DOS path command. WED text editor and its many features. APPENDC.DOC Appendix C of the WED User's manual. printers may not be able to print. WED.EXE The WED text editor program. diskette is damaged or lost. able to find its support files, WED.CFG and WED.HLP. where "WEDDIR" is the directory in which you placed WED.
disk when you use WED. The final step is to print out a copy of this manual. print a file, or modify WED configuration values. a drive and/or path with the file name. information on how to order registered copies of WED.
describes the main menu options. and return control to DOS. would be denoted as Alt-M.
entry shows the current Insert mode state (overwrite or insert). mode on, WED displays "Graphics" in this space. displayed in the center of this line. displays the region of the file being edited. region surrounding the cursor location. lines as long as 32,000 columns. topic and then press to view the selected help screen. to return to the main edit mode. invoke the Help command, WED will display an error message. the "H" key at the same time). menu without performing any actions. of that file to .BAK, and then saves the new version of the file. to suspend the automatic backup feature. Now enter a new file name to write the revised file to. This name can include a new drive and/or path. The quit command has several options described below. The Save option is the most commonly used Quit option. switch to one of the other files. saves the current edit file and then continues the edit session. changes to disk during a long edit session. useful when you have made a serious error during the edit session. beginning or end of a file with a few keystrokes. character on the line above. just like the up key, but in the opposite direction. the first character of the next line. moves the cursor to the last character of the line. previous word (next word to the left) in the file. next space or carriage return character in the file. up, or ctrl- to scroll the text down. in the text window and on one of the characters in the file. macros, refer to chapters 5 and 8.
directly to any line by specifying a particular line number. information on pointers, refer the section on setting pointers. example, pointer one has been set on line 154.
of the current edit file. To move directly to a particular line, select "Line #"
will move the cursor to that line. pointer from the Goto Menu. editing functions including text entry. Entering text is easy. position and the cursor then moves one character to the right. key, the cursor moves to the first character of the next line. to the beginning of the new line. There are four commands for inserting text into a file. you want to insert and it will overwrite the new space. insert mode will be inserted ahead of the current cursor location. helps you visualize what you are typing. which you can begin entering new text. command line will return to its normal state. "ABORT(Y/N)?" in the upper right hand corner of the screen. erased and WED will return to the command mode. under the cursor will be deleted. or type "N" to cancel the command. phrase, the cursor will not be moved. using the same locate options. command. You can then edit that phrase or type in a new one. Now type the word or phrase you wish to replace. To replace without options, just press the Enter key. flexibility. You can choose none, one or several of the options. options is described in the following paragraphs. that the value is displayed next to the "occurrences" prompt. You can correct the entry by using the key. "and then the . . ."
string "the". Instead, Locate will stop at the whole word "the". The No Query option, only pertains to the Replace command. performs all replacements before showing the altered file. processing at the beginning of the file and work towards the end. WED will perform all replaces before showing you the altered file. the example screen above, pointers one and four have been set. a section of your text once or more in a file. Copy command by typing Alt-C.
to the current cursor location. sections of text from your file. automatically saves the deleted text in the delete buffer. point at which you want the deleted text placed, and type Alt-U. the deleted block at the new location. will then insert that entire file at the current cursor location. will later be inserted into other files. Bottom of file, or Current cursor location as an end points. will default to the same disk and path as the main edit file. WED will now write the marked text out to the specified file. will be replaced by the new file. does not exist, WED will create a new file. screen and display both edit files simultaneously. ten files at the same time. to the next most recently accessed open file. screen) with the Setup command. you are referring to are the pointers set in the source file. current file at the current cursor location. "EXIT", and WED will resume the interupted edit session. to the text, you can reallign the margins with the format command. it uses when entering text with word-wrap. the editor is in the Insert mode. increase the indentation level of the line. Conversion flag with the Setup command. the left). Next enter the number of spaces to move the text. point. WED will now re-indent the block. The Indent function is aware of the Tab Conversion flag. to tell WED what compiler(s) and assembler(s) you will be using. This process is described in chapter 10 of this manual. available for the program to run in. key to run the program. the most recent file instead of the main menu. with the table, press the key to return to editing. displayed on the opening screen of WED are drawn using them. to graphics mode, and then type M.
mode or in the insert mode. is useful for printing source code files as well as text files. to the page layout diagram at the end of this chapter. listings. Press the bar to toggle between "yes" and "no." field has no affect if you select no at the "print header"
many rows and columns the printer can print on each page. lines to skip over at the top and bottom of each page. mode for printing source code listings. would be entered as "\x1A" in hex. the file with condensed print: "\x12"
window to prompt for additional information. cursor bar to that field and type Alt-H.
descriptions for each of the setup fields. it is set to "keep", WED remembers the most recent Locate phrase. Ctrl- erase from the cursor to the end of the entry. command once you have installed your program(s). to the desired line and editing the entries. WED will retain the original contents of the macro. command. When Split screen is set, the Other file command "splits"
the top half and the other file on the lower half of the screen. each file, or "split" if you want to use the split screen feature. to "drop down," then these key assignments will be reversed. old version before saving the newly edited version of the file. changing the "make BAK files" setting to "no." and end keys, the plus and minus keys, and the backspace key. performance by specifying a ramdisk. disk drive if different from the default). performing text functions such as editing. automatically selects black and white color combinations. background, normal, highlighted, border, and field text. step through the available colors. adapters, you can use the 43-line mode when editing with WED.
automatically switchs to the adapter to the condensed mode. eliminate the snow by setting the Snow Removal switch to "yes". WED's screen output will be as fast as possible. or increase the indentation level of the line. word down to the next line and allow you to continue typing. mode is described in detail in chapter six of this manual. setup field has no effect when Word Wrap is set turned off. The tab character is a special character in ASCII files. but only two keystrokes with the tab key. source file because they make it difficult to change indentation. inserted to move the cursor to the next tab stop. set up to forty tab stops in in any columns up to column 78.
to store the new tab settings. very useful when generating source code listings. is very useful when generating source code listings. line nos" status to "no." this value will be 66.
this value will be 80 or 132.
to skip over at the top of each page when printing files. to skip over at the beginning of each line when printing files. skip over at the end of each line when printing files. file will be placed in the same subdirecty as WED.EXE. Indent Indent block of text. Undent Unindent block of text. Paragraph Re-flow block of text (word-wrap). Top Move to the top of the file. Bottom Move to the bottom of the file. Line Move to specific line in the file. 1..8 Move to a pointer in the file. Save Save current file and exit to main menu. Keep Save current file and exit to DOS. Write Save current file and continue. Abandon Abandon current file and exit. 1 T Goes to the top of the file. 2 T Goes to the bottom of the file. 4 Erases the current line. 7 12 Copies block marked by P1 & P2. 8 12 Moves block marked by P1 & P2. the version in which they were introduced. controled by the Setup flag, "tab conversion." response and a smaller help file. the editing of up to ten files at one time. creation of up to forty macros. writting and light word processing. listings as well as documentation. o You can now compile programs from inside WED.
keystroke restores the edit session. and begin editing a New file. Setup command or the WEDINST program. to copy blocks of text from one file to another. display help screens for each of the main commands. the IBM special graphics characters (ASCII 128 - 255). screen while in the Erase mode. WEDINST program to make this selection. lines from batch files (ECHO ^@). includes Ctrl-M, the carriage return character. significantly faster in version 3.00.